With the leaves turning and the nights getting colder, now’s the time to start thinking about fall and winter decor. Which means if you’re looking to accent your living room with a handsome new couch or chair, look no further than leather! Both stylish and durable, leather is perfect for the cold but cozy months ahead because its surface temperature stays warm (and looks great set against that crackling fireplace). So what makes leather such a perfect material for the months ahead, and what are the key differences you should know about when considering it for your furniture? Leather is the strongest upholstery material traditionally used for furniture, meaning it’s durable and sure to withstand the use of a busy household. Leather is proven to outlast fabrics at least four to one. Not only is it strong, but it’s also eternally stylish, meaning it will last beyond and between upholstery trends. Natural leather is the the strong supple top layer of the hide. It absorbs moisture and constantly adjust to its environment, meaning it can regulate its surface temperature (warm in winter, cool in summer). Because it’s an organic product, the color and grain pattern of natural leather will vary from hide to hide. Expect natural markings and realize that it is not a pet-friendly material. And what about protected leather, you ask? 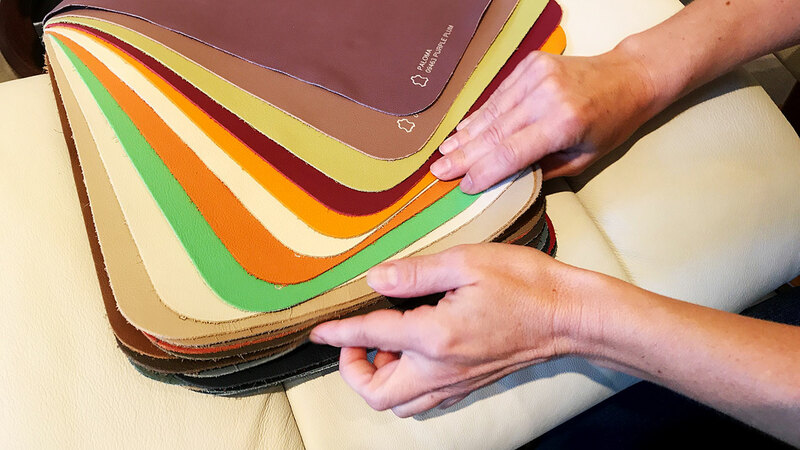 Protected leather offers more consistency and more variety, with a greater number of colors available than natural leathers. Natural markings are less noticeable on protected leather, while the material repels water and stains, and is also extremely pet-friendly. 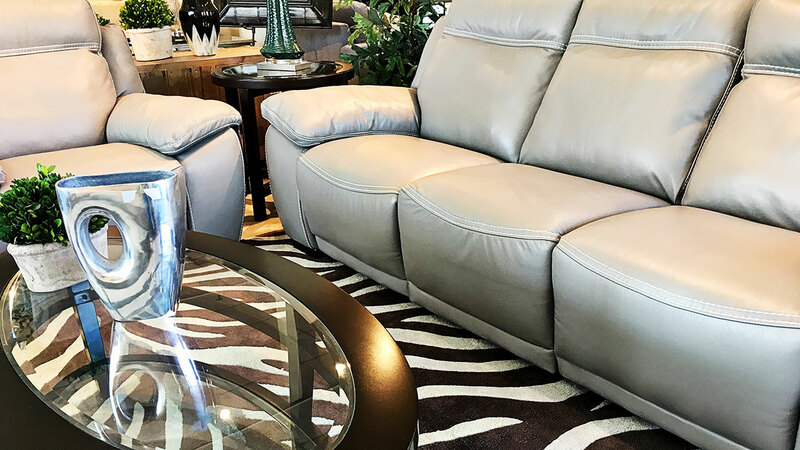 To find the right leather couch or chair for your home, head to Hamiltons Sofa & Leather Gallery. Not only does Hamiltons have four DC-area locations, but its knowledgeable team of customization specialists are able to help customers create statement pieces that are as functional as they are stylish — right down to cushion styles, track arm options, nailhead selection, and much more. And by working with the best furniture brands in the USA and abroad, Hamiltons is able to offer the widest selection of leather options possible, from sectional configuration to power motion and sleeper options. 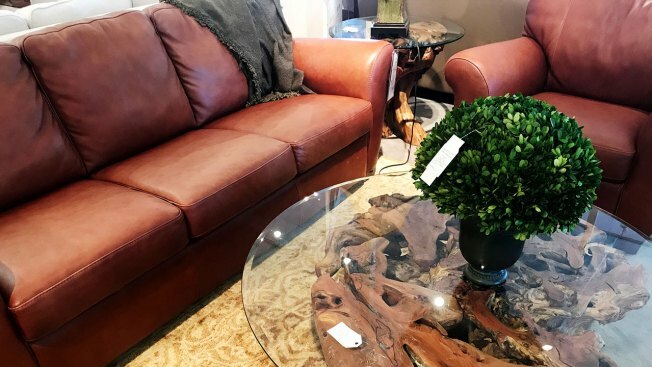 Visit HamiltonsSofaGallery.com for additional details on customizable leather furniture brands available as well as to peruse through a wide selection of living room and family room furniture options for your home, style or budget.